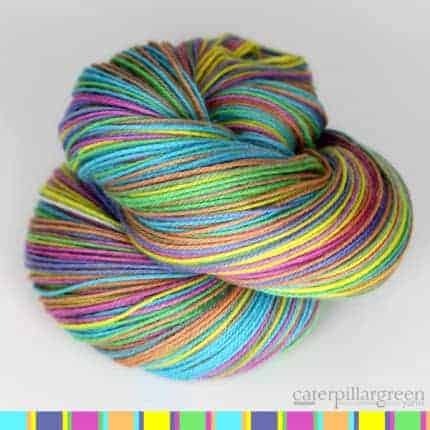 Gauge Dyeworks is self-striping yarn company based on Vancouver Island, BC. All our yarns are dyed to order with our luxurious Merino/Cashmere blend. We hope you’ll come take a look around our online shop or visit our page on Ravelry. In addition to standard 115 gram (4 oz.) 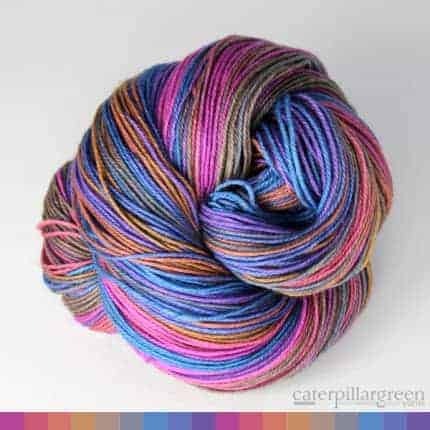 skeins, we also have extra-large 170 gram (6 oz.) 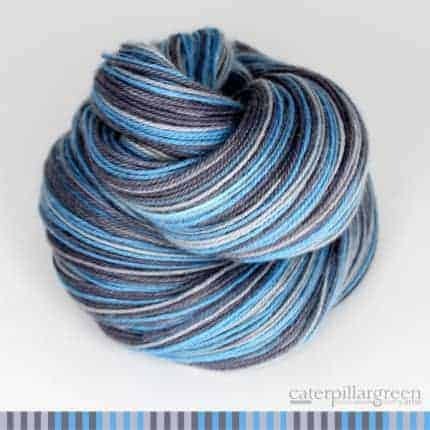 skeins for bigger feet or knee-high socks. 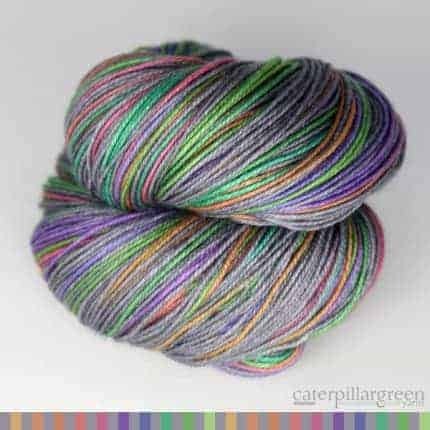 And we are excited to offer Accent skeins: mini skeins for sock toes/heels (or mitt cuffs or hat brims or…) that can be added to any self-striping yarn.